One of the most effective ways to keep your home dry and prevent debris and water buildup around your home is to have properly installed gutter systems around your home. You’ll feel relieved and protected after seeing a professional gutter installation and downspout drainage system in action at your residence. Although it’s not the flashiest part of your landscape, this hidden gem does the work of a thousand hands by driving the flow of water and debris away from the most sensitive parts of your house. Let’s see how it works. When it rains, water must be directed to run off the roof and into an acceptable location on the ground. Without it, water will be left to drip from the edge of your roof, causing water damage to your foundation and roofing materials. Ever wonder why your basement has mold and mildew or a musty odor? Are you having leaks in the walls of your basement or losing topsoil near your house? A good drainage system can prevent all of these issues and quell possible expenses that could arise if this is not properly addressed. Even if you do have a gutter system currently, and these problems are still occurring you may need gutter repair or gutter service to restore the correct function of your system. The first line of defense in a drainage system is your gutters, which keep water channeling smoothly away from your home and into a downspout or properly sloped area of your lot. Gutters should slope by a minimum of ½ inch for every ten feet, so water isn’t just standing in the gutter. You also want to ensure that the trough is securely attached to the house with screws and cannot be easily removed or bent. Our specialists at Four Seasons Roofing are experienced at proper gutter installation and repair, and can determine if your current gutter needs fixing or should be adjusted in any way. Gutter companies can be hard to find; choosing a team like Four Seasons Roofing will ensure that you’re working with a knowledgeable group of specialists who understand the full scope of drainage systems and how gutters play a role in preventing water damage to your home. We know the intricacies and tricks of installing and repairing gutters without damaging your roof. There are currently hundreds of gutter systems in Maryland that we installed with care and precision, delivering customer satisfaction time after time. It only takes one simple call to schedule a FREE assessment and begin your journey to a successful gutter service. 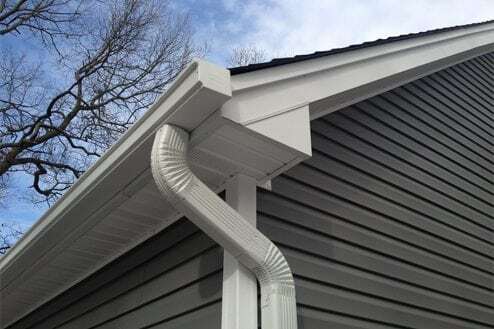 To complete your gutter system we will evaluate and make recommendations to your current downspout or lack thereof, to see how your drainage could improve with a fully operable rain gutter. We install gutter guards to prevent debris from clogging or damaging your gutters. Prevention is key to keeping down waste and avoiding costly repairs in the future. By acting proactively, you can save hundreds if not thousands of dollars in the long run. Don’t let your gutter put you in the dumps. Have Gutter Guards installed to keep leaves, debris, and gunk out of your gutters! Schedule a visit with a Four Seasons Roofing Specialist. We also perform gutter guards for homeowners who don’t have gutter covers installed. If you find yourself too busy, physically unable, or simply tired of climbing up the ladder to clean your gutters, call our friendly team at Four Seasons Roofing. We make gutter cleaning a thing of the past, and affordable enough to make up for your cleaning every year. Just like your health, good maintenance is key to ensuring that your home stays in prime condition and doesn’t suffer unnecessary damage. Keep everything from your shingles and siding to your foundation and flowers from becoming victims of water damage. 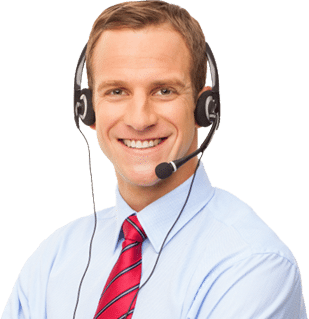 There’s no obligation when you call our team. Servicing the Baltimore and surrounding areas, we are one of the most trusted Maryland gutter companies and it only takes one call to see why so many homeowners trust our specialists to handle their roofing and gutters with care, expertise and honest service. Feeling adventurous? Ask us about non-traditional gutters and find out if they’re right for your home. Pop-up gutters and underground gutters are alternatives for your home that may be a perfect solution to your drainage concerns. If you are experiencing water runoff on your property, pop-up gutters can help collect water and carry it far away from the foundation of your home. By running your gutter system underground, you can divert potentially destructive water further from flowerbeds, foundations and other delicate structures without disturbing the surface of your yard or patio. Pop-up gutters require special installation and don’t work the same as traditional drainage systems, which is why you should call an experienced Maryland gutter company like Four Seasons Roofing to provide the best information and advise you on whether your home is a good candidate for this alternative. Contact Four Seasons Roofing to see why we’re consistently one of the best gutter companies in Maryland and begin the road to better, reliable drainage.